It’s been a long journey of wedding planning, and I know what I’m going to look like, what the table centerpieces are going to be made out of, what the cake tastes like and what music to walk down to. But.. who’s going to tell me what actually happens on the wedding day? What do I do with my bouquet? Where do I keep the rings? Do I cut the cake after the dance? All these small questions will keep you clueless and sleepless. 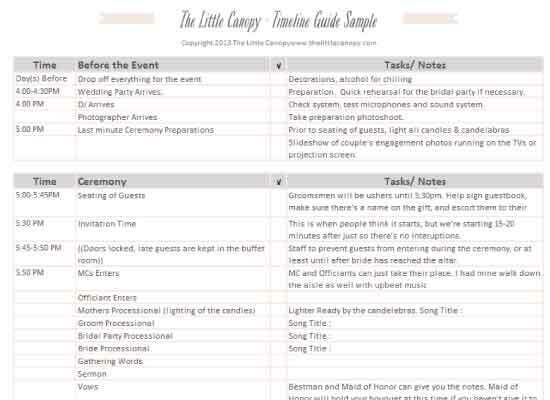 So I thought I’ll help all the DIY brides out there to know exactly what will happen on the day of your wedding. Get these small tasks situated in advance so you don’t have to think or stress about a thing on your beautiful wedding day. 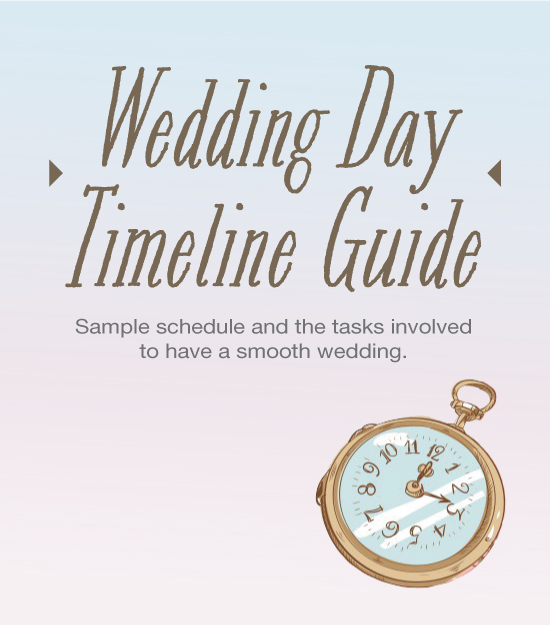 **Please note that this is only a sample of what I used for my wedding, every bride will have different timeline, program schedule and cultures. My wedding invitation time was 5:30pm, but I planned to start the ceremony at 6:00pm, knowing that people will be late, and it would have been difficult to sit all 250 people in 30 minutes. I had the MC, officiant, bridal party, the groom all walk down the aisle to an upbeat music like a fashions show, to keep things entertaining. I also had the staff close the door and guide the late arrival guests to the side room when the ceremony starts, so that I’m not interrupted while walking down the emotional aisle. But this is optional. Please feel free to comment me on what other important information I’m missing!